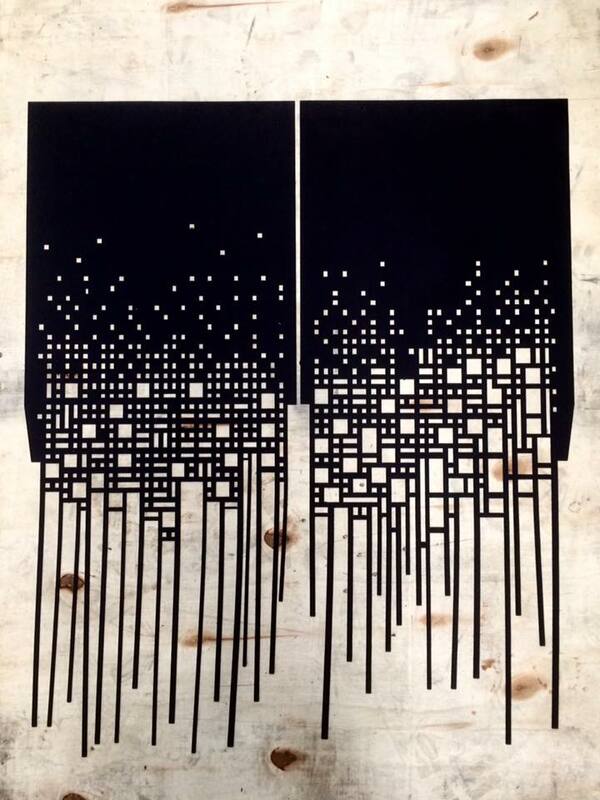 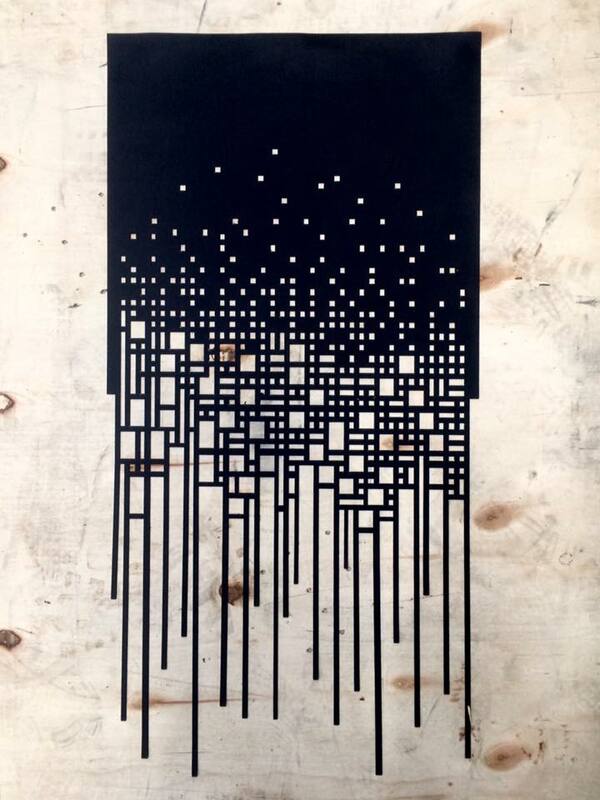 Laser cutting is a unique form of accurate cutting. 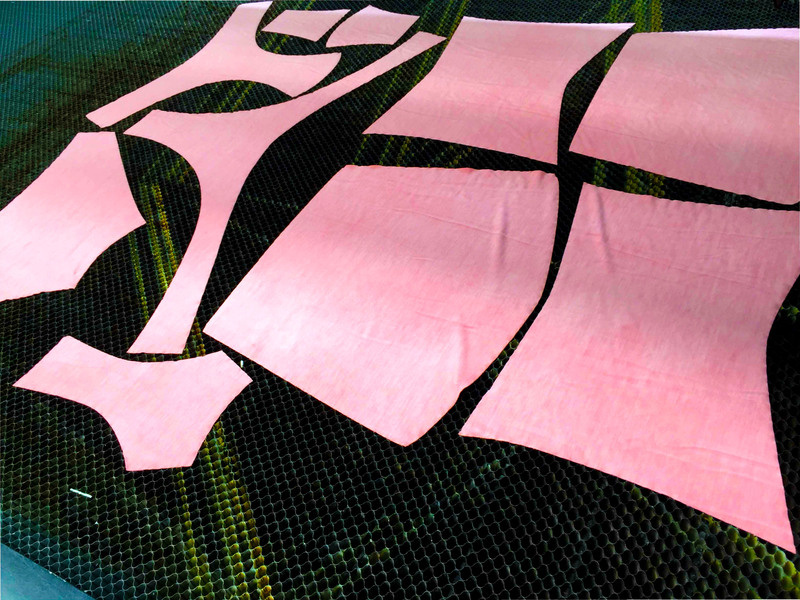 Our process successfully sears the edges to avoid fraying of the cut area and making it unsurpassed in many of the above applications. 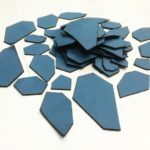 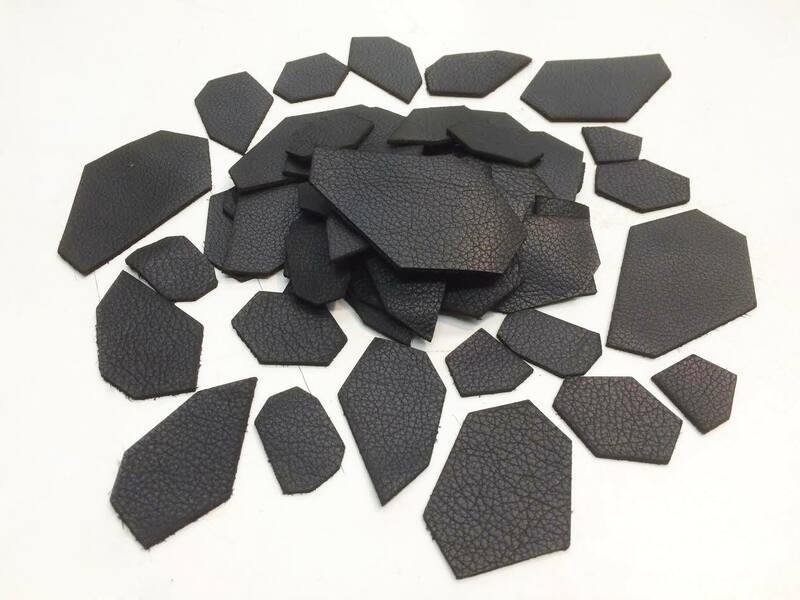 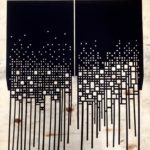 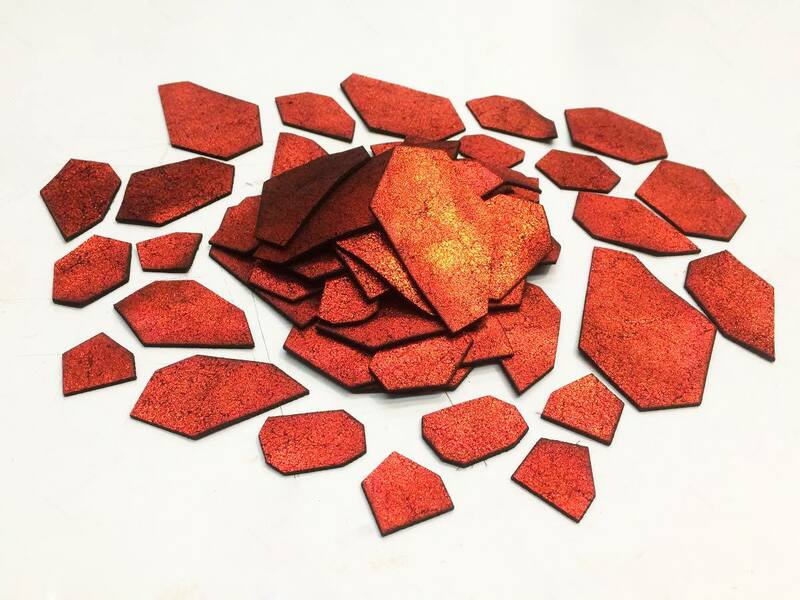 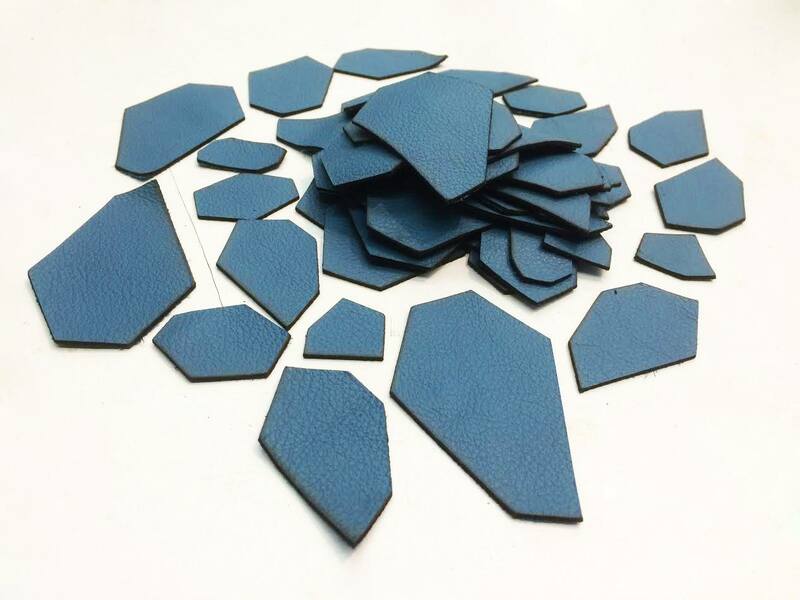 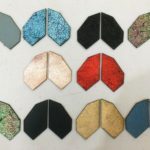 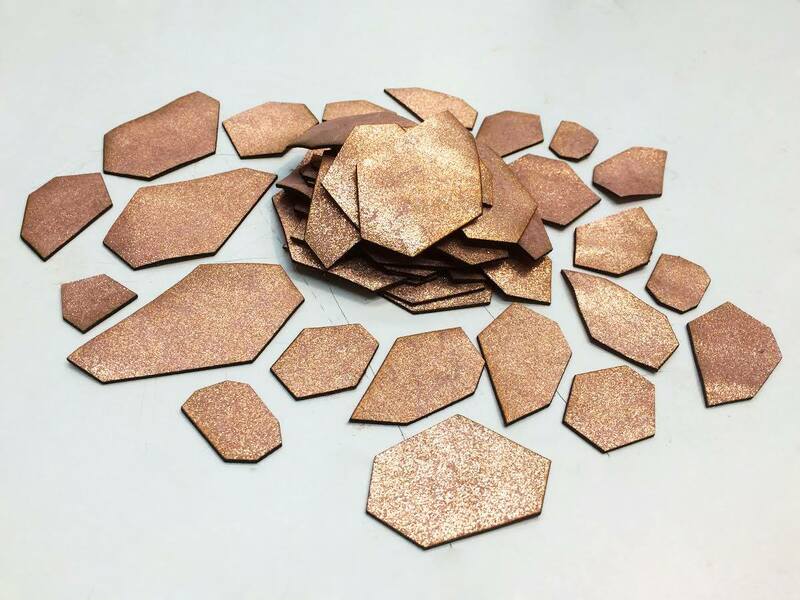 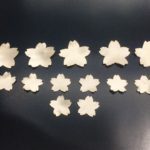 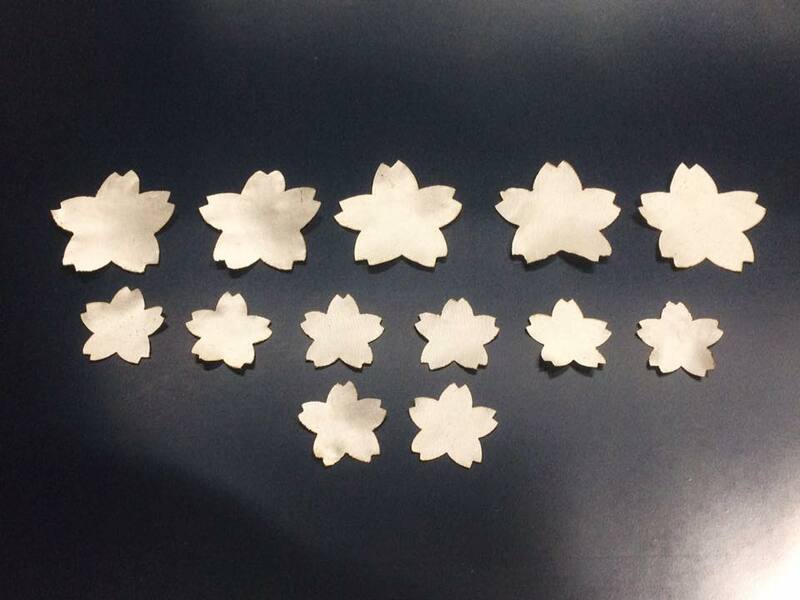 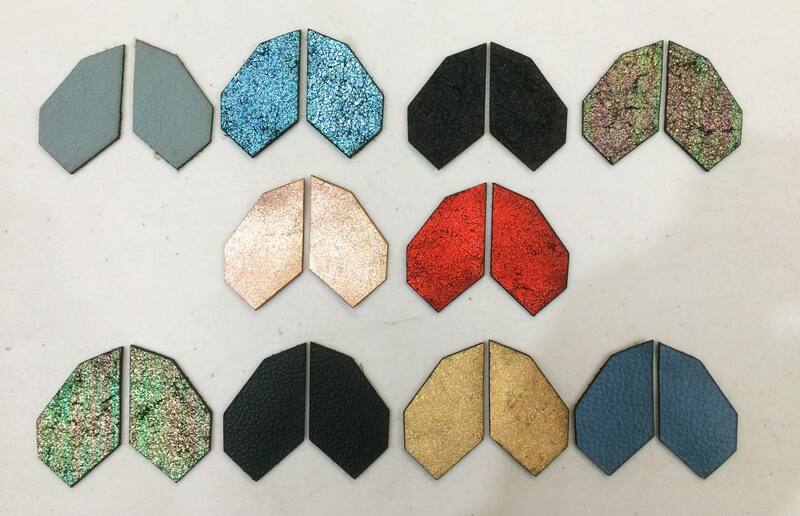 We provide a laser cutting service for many applications like leather, appliques, medical, plastics, stencils and technical textiles in not only Melbourne, but in Australia. 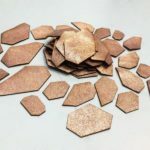 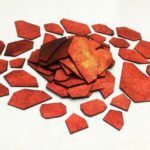 The industries below use laser cutting as an integral part of their production process with amazing cost cutting savings, and more importantly, using the latest of techniques to add to their product range. 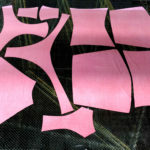 EMROIDERY – Appliques and Etching. 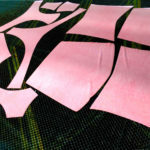 FASHION – Specialty Design by cutting patterns and creating special effects. 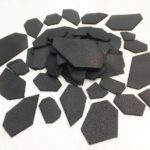 AUTOMOTIVE – Gaskets, Plastics and Vinyls. 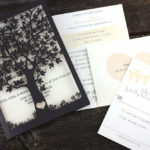 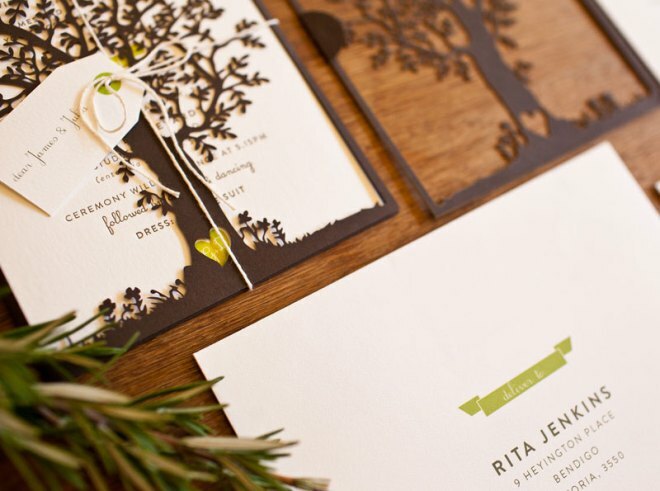 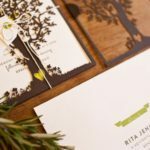 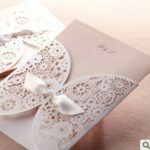 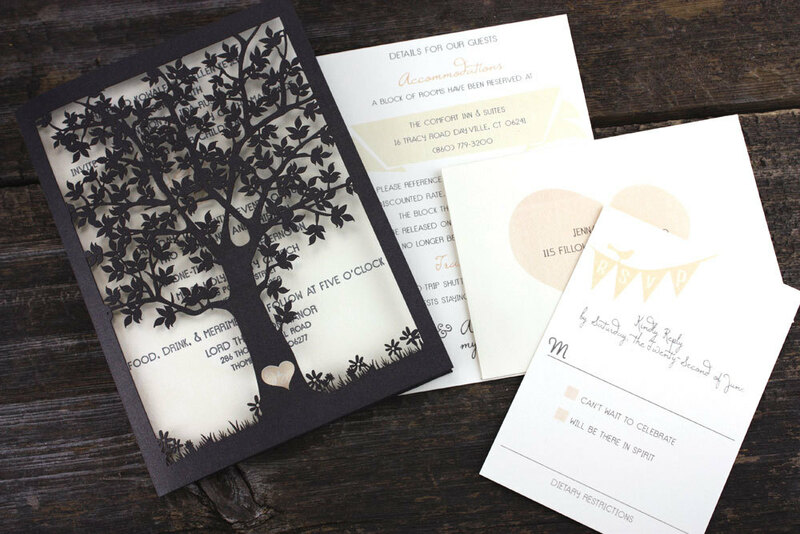 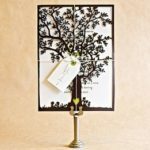 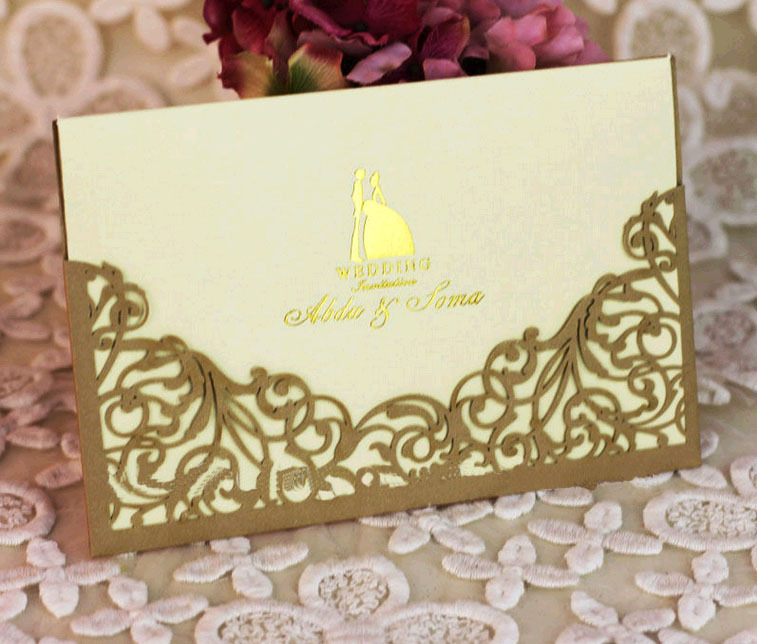 STATIONARY SUPPLIERS – Invitations, Cards and Stencils. 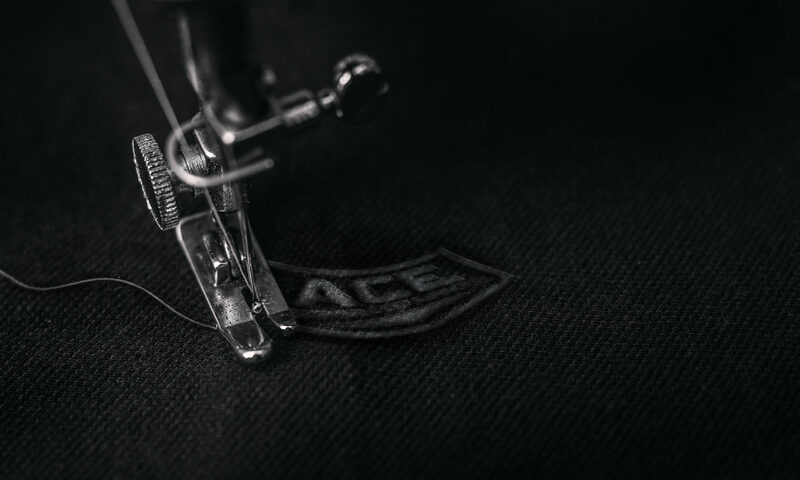 ACE Corporate Apparel Melbourne is one of the few companies in Australia which offers the combination of in house Embroidery, Laser Cutting a range of media from fabrics to leather, and the Applique Design service. 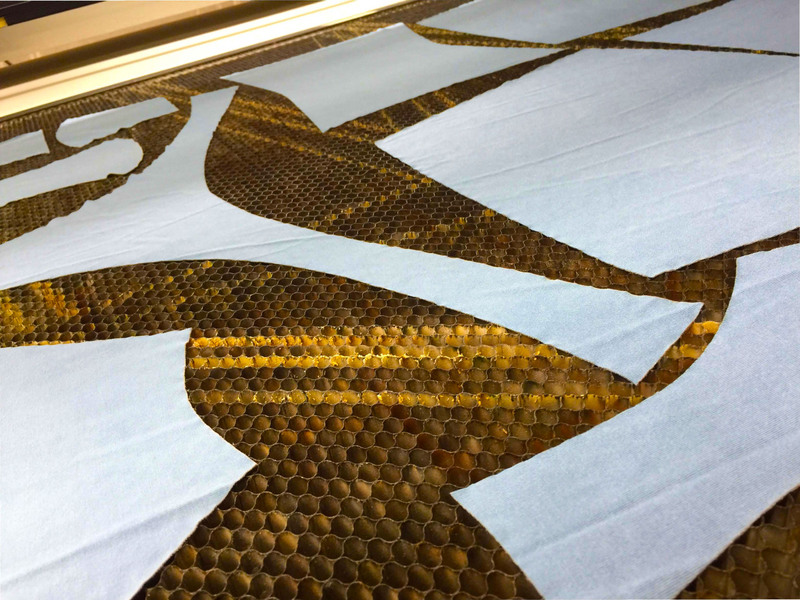 If you want to create a large area of embroidery, you can use a combination of cut fabrics by laser cutting integrated with embroidery stitches, giving your design a dimensional look and, more importantly, something which your competitors will find difficult to emulate. 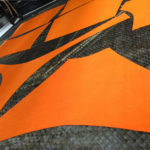 Instead of having lots of stitches in a large area of your design, why not use a funky piece of material or another piece which contrasts the design. 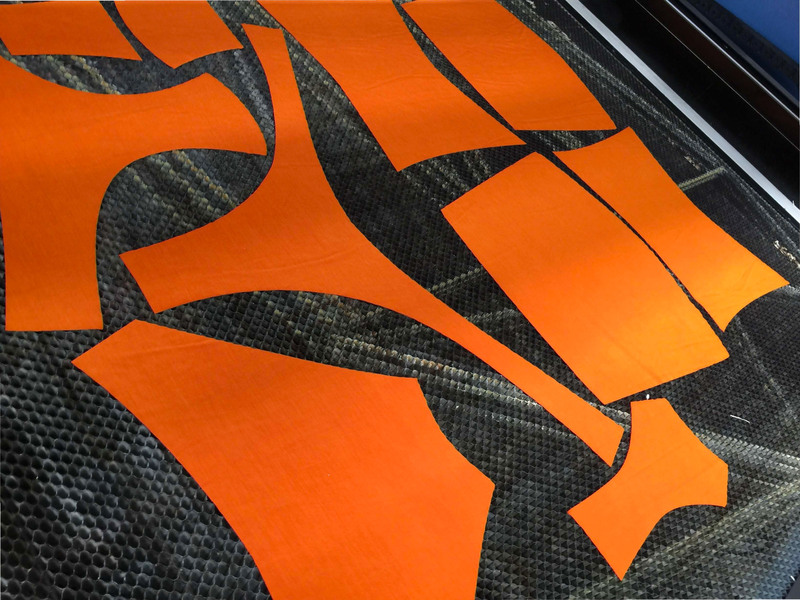 In American Applique it is the most popular form of decoration used in all of their logos on Sporting wear, with use of Twill and Embroidery to create an ATHLETIC look. 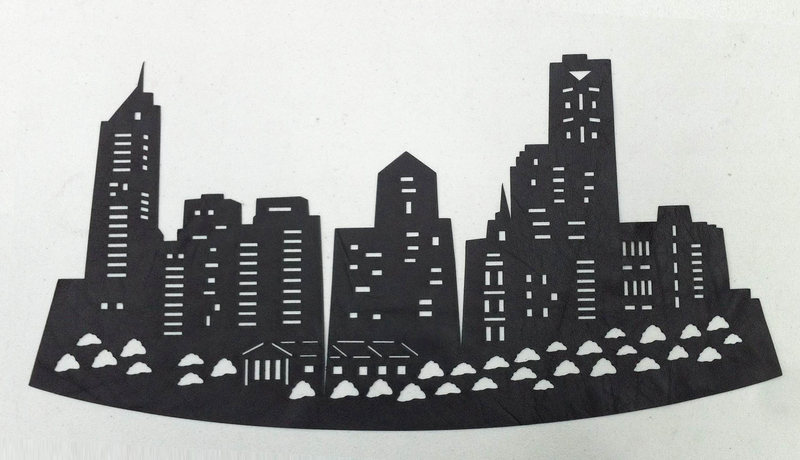 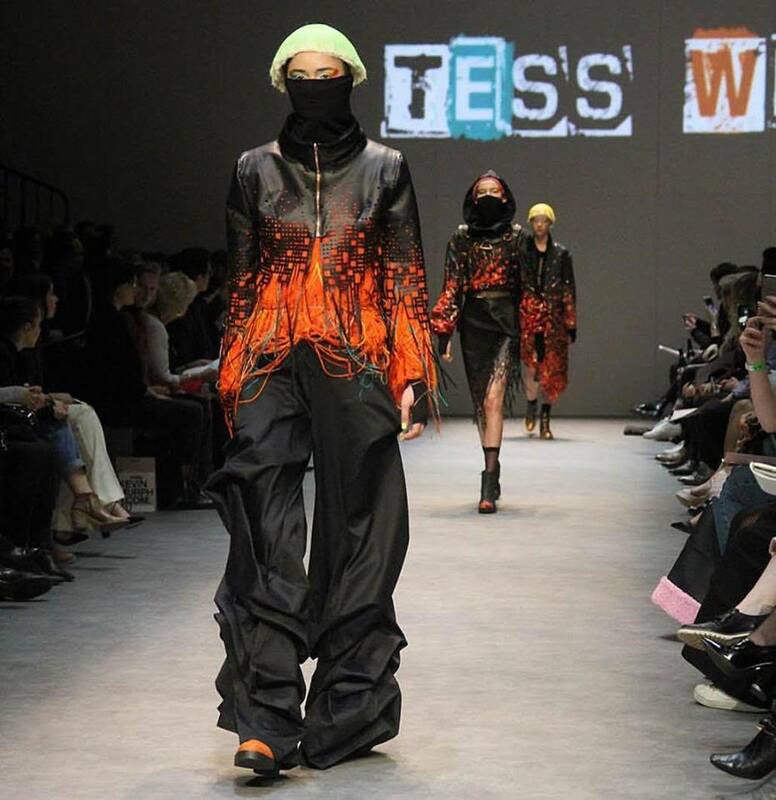 FASHION INNOVATION: Your design teams will love the creative licence using Laser Cutting in Production, the precise cutting option will open up a new dynamic. 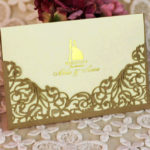 You do not have to go off shore anymore as we’re are located in Melbourne, Australia. 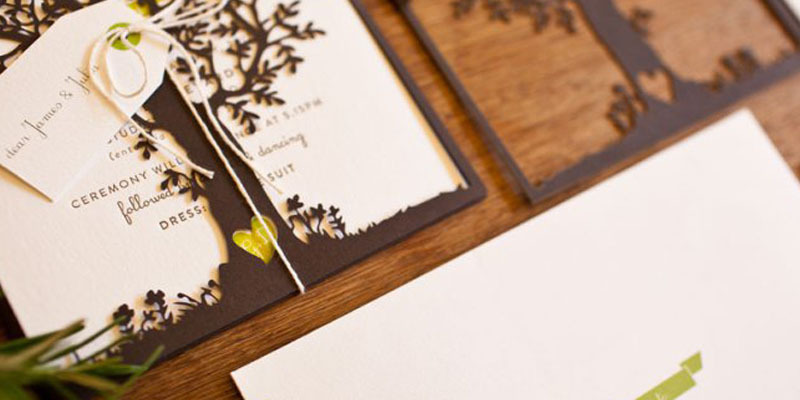 Pop in and have a chance about the endless possibilities at your disposal. 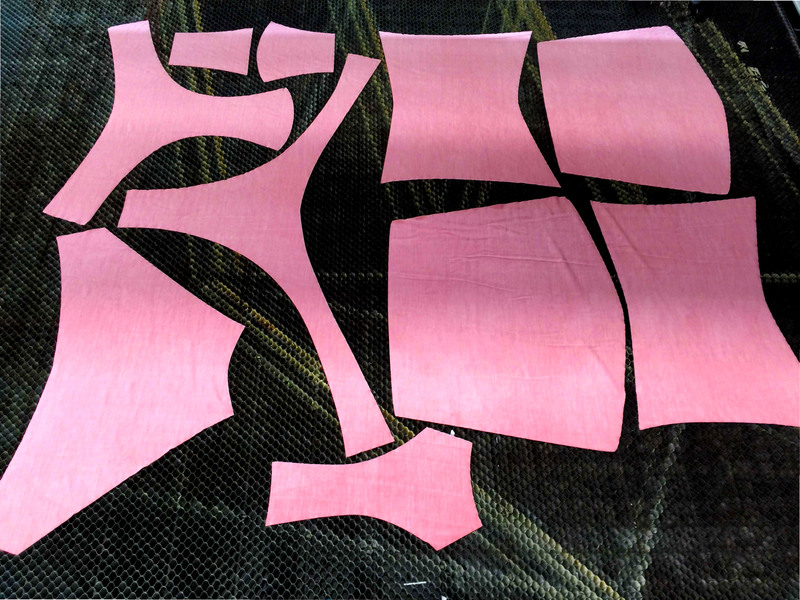 Fleece, Upholstery, Denim, Suede, Silk, Technical textiles, Applique and Leather. 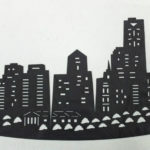 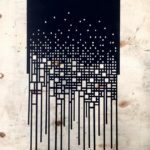 Different fabrics and materials can be laser cut and then incorporated into any Embroidery Stitch File to create stunning dimensional stitchouts. 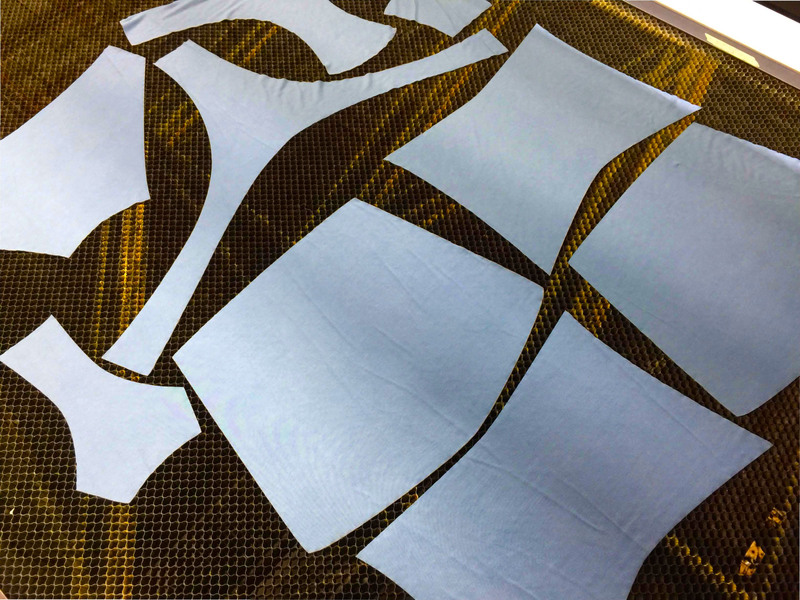 When laser cutting fabrics you seal the cutting edges which avoids fraying and allows more intricate designs and faster production. 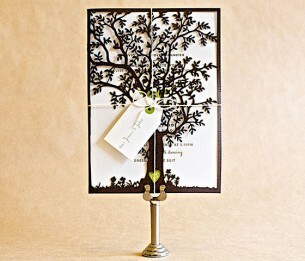 Are produced using the latest Laser Cutting Technology, in various applications and end uses. 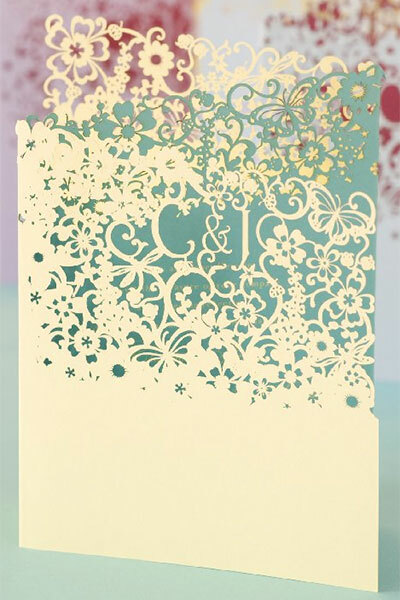 Examples: Plane Kits, Plastic letters, Cake Decorating, Industrial Stencil Markers, House hold decoration, Gaskets. 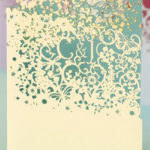 We have a range of Stencils to advertise, send messages and generally have some fun. 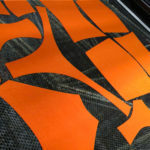 Cutting of garment panels with intricate cut through designs makes a quick and inexpensive item for production samples. 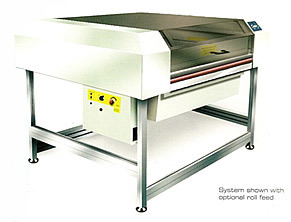 The high cutting speed of the laser can be tried without the expense of die creation. 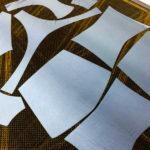 Etching onto fabrics such as Fleece and Denim is becoming very fashionable and a point of difference with manufactures. 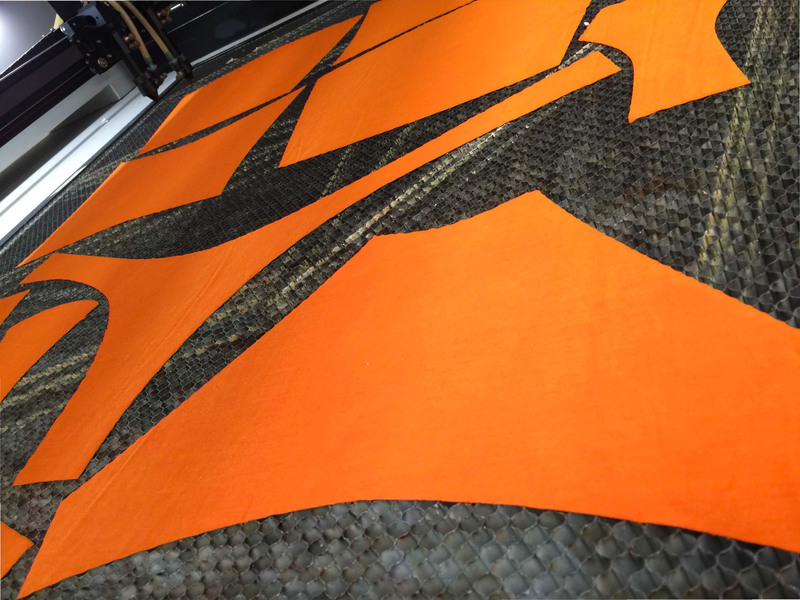 All types of effects are being achieved by this new laser technology which is very easy to produce and more importantly cost effective. 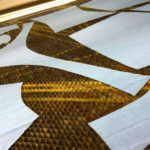 Call us today at our office in Melbourne and speak with Gary on all laser cutting options for fabrics and other mediums.